I am on the verge of closing this account down and being down with upwork. I signed up about a week ago and was so hopeful that I could do some work from home given my poor health. Well I almost got scammed twice luckily my husband helped me figure it out before it was too late. The only info they got was my name and mailing address. I also called the company they were pretending to be and warned them of the situation. And forwarded the conversations and emails to the companies IT dept so that they can make sure to set up a investigation. I am very upset by this and now I keep getting fishy invites for jobs, plus all the legit jobs I apply to don't respond. I am beginning to regret ever setting this account up. 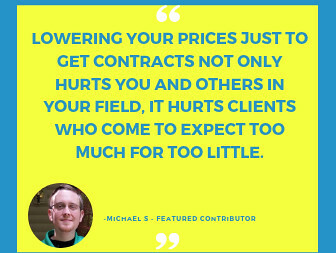 I'm sorry about your bad experience with the two potential clients you had thus far on Upwork. 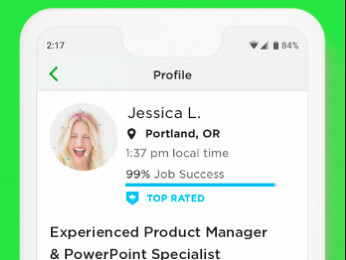 Please note that as long as you keep communicating with prospective clients through Messages, make sure not to share your ID, bank or other details with other users, accept only to get paid through the platform, never pay in order to be considered for the job, using Upwork Payment Protection programs and start working only after getting hired and seeing a contract under the My Jobs tab, you'll avoid all pretty much questionable jobs. Please review these safety tips, derived from our ToS, and note that you don't need to do a background check of prospective clients but only follow the steps outlined above. 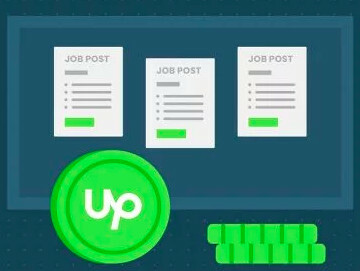 Let us know if you have any questions and please also review these freelancer resources, in order to successfully start using the Upwork platform. Please click on my name and pm the job post links of these two jobs, so I can confirm if our team addressed them already. I have a company wanting to interview me through Google Hangouts. I take it this is a red flag? re: "have a company wanting to interview me through Google Hangouts. I take it this is a red flag?" Mandy: They are scammers who are trying to steal your money. Block them and forget about them. Yeah same thing happened to me, had me all excited and then. They said “google hangouts “ like what? And there email is also not a company email. Tiffany, UW already has a scam button. On the job posting, flag (upper right) and tick off the scam option. I located the client you are referring to and will make sure actions are taken. Please, check out this Post for more tips on how to avoid questionable jobs. Yes I got scammed by the same guy. he wanted my bank info.